While most of the viewers of the Masters nervously watched the final round on Sunday, wondering if Tiger Woods was going to win his 15th major, the man whose record he is chasing knew he was going to get his fifth green jacket. Jack Nicklaus spent the morning bone fishing in the Bahamas, but got to a television to see most of the final 18 holes. It didn’t take long for Nicklaus to realize that day was going to be a victorious one for Woods. He told Golf Channel that he had no doubts about who was going to win. The victory was reminiscent of 1986 when Nicklaus won his 18th major at Augusta after many people didn’t believe he would ever capture a major. 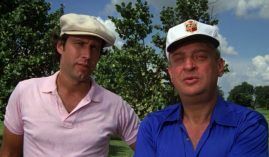 Nicklaus said there was a big difference, though. President Donald Trump, an avid golfer, has hit the links with Woods, and was excited after the Masters. So excited that he said he is going to be awarding Woods with the Presidential Medal of Freedom. The civilian award is considered one of the highest civilian honors and is given to individuals who have, “especially meritorious contributions to the security or national interests of the United States, to world peace, or to cultural or other significant public or private endeavors.” The award was established in 1963 by President John F. Kennedy. The anonymous man who made the $85,000 bet on Woods to win at 14/1, decided to out himself. James Adducci, a day trader with a finance background, said he had a premonition so strong he felt compelled to fly to Las Vegas from his home in Wisconsin to make his first ever sports wager. He sold some Amazon stock to fund the bet, though he said he was $25,000 in debt, and took a duffle bag of cash to three casinos. The first two wouldn’t take the action, but the William Hill sportsbook at the SLS Resort in Las Vegas. 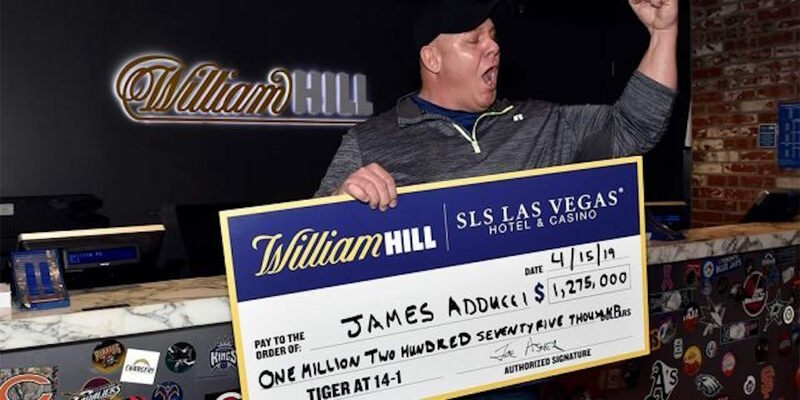 Adducci came back to Las Vegas to collect his winnings in a ceremony with Joe Asher, CEO of William Hill US. The PGA Tour is at the RBC Heritage and Dustin Johnson is the favorite at 8/1. Francesco Molinari is at 14/1 and Bryson DeChambeau and Xander Schauffele are at 18/1. We like Patrick Cantlay at 20/1. He finished tied for ninth at the Masters, and has two top-10s in his last two times here. The PGA Tour Champions is at the Mitsubishi Electric Classic and Bernhard Langer is the top pick at 5/1. We like Miguel Angel Jimenez at 14/1. The Spaniard won there in 2015, and has finished tied for fourth and eighth in 2017 and 2018.